Although some news sources have reported that the Department of Justice (DOJ) has recently “revised” their regulation on service animals, they have instead clarified regulations that have been on the books for many years. Early this week the DOJ released “Frequently Asked Questions about Service Animals and the ADA” a user-friendly technical assistance document that answers many commonly asked questions about service animals. The publication stems from questions posed to the DOJ and provides guidance on the ADA’s service animal provisions. Among other things, it addresses emotional support animals. Q. Are emotional support, therapy, comfort, or companion animals considered service animals under the ADA? A. No. These terms are used to describe animals that provide comfort just by being with a person. Because they have not been trained to perform a specific job or task, they do not qualify as service animals under the ADA. However, some State or local governments have laws that allow people to take emotional support animals into public places. You may check with your State and local government agencies to find out about these laws. Q. If someone’s dog calms them when having an anxiety attack, does this qualify it as a service animal? A. It depends. The ADA makes a distinction between psychiatric service animals and emotional support animals. If the dog has been trained to sense that an anxiety attack is about to happen and take a specific action to help avoid the attack or lessen its impact, that would qualify as a service animal. However, if the dog’s mere presence provides comfort, that would not be considered a service animal under the ADA. So how can businesses determine if a dog is a legitimate service animal? They can question you, but they can only ask specific questions. Q. What questions can a covered entity’s employees ask to determine if a dog is a service animal? A. In situations where it is not obvious that the dog is a service animal, staff may ask only two specific questions: (1) is the dog a service animal required because of a disability? and (2) what work or task has the dog been trained to perform? Staff are not allowed to request any documentation for the dog, require that the dog demonstrate its task, or inquire about the nature of the person’s disability. And yes, the ADA specifically states that a service animal must be a dog. Q. What is a service animal? A. Under the ADA, a service animal is defined as a dog that has been individually trained to do work or perform tasks for an individual with a disability. 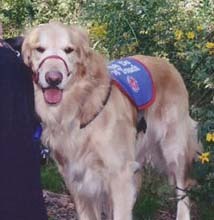 The task(s) performed by the dog must be directly related to the person’s disability. And then there is this reminder about hotels. Q. Can hotels assign designated rooms for guests with service animals, out of consideration for other guests? A. No. A guest with a disability who uses a service animal must be provided the same opportunity to reserve any available room at the hotel as other guests without disabilities. They may not be restricted to “pet-friendly” rooms. And yes, even legitimate service animal may be excluded in certain situations. Q. When can service animals be excluded? Q. When might a service dog’s presence fundamentally alter the nature of a service or program provided to the public? Finally, this document also reminds folks that the ADA does not apply to the airlines (something that I’ve been stressing for years). Q. Do commercial airlines have to comply with the ADA? A. No. The Air Carrier Access Act is the Federal law that protects the rights of people with disabilities in air travel. For information or to file a complaint, contact the U.S. Department of Transportation, Aviation Consumer Protection Division, at 202-366-2220. I’ve also addressed flying with a service animal on my blog. This entry was posted in Service Animals and tagged ACAA, ADA, comfort animals, emotional support animals, service animals by Candy B. Harrington. Bookmark the permalink.